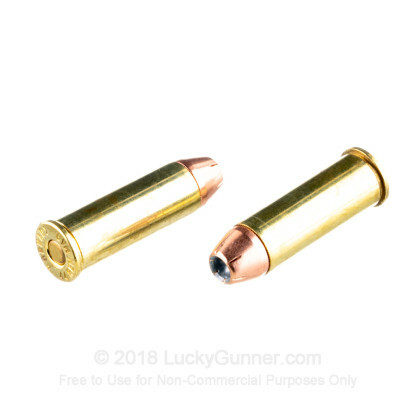 The 44 and 45 calibers were incredibly influential during the time of the cowboys and continue to be some of the most powerful handgun calibers on the market in the modern age. Now mostly used for hunting and cowboy action shooting, the 44 Magnum can still be used for self defense in the countless modern revolvers and even a couple semi-autos. No one makes ammo like Hornady. Since 1949, Hornady has been committed to manufacturing the best ammunition they can. The Custom line is designed to deliver purpose built ammunition at a reasonable price. Hornady's products are proudly loaded in the USA at their Grand Island, Nebraska facility. With their innovative XTP projectiles, you have an exceptional round with reliable penetration and controlled expansion. 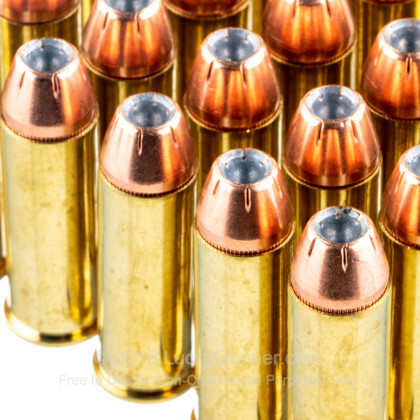 These bullets are also incredibly accuracy and retain over 95% of their weight. 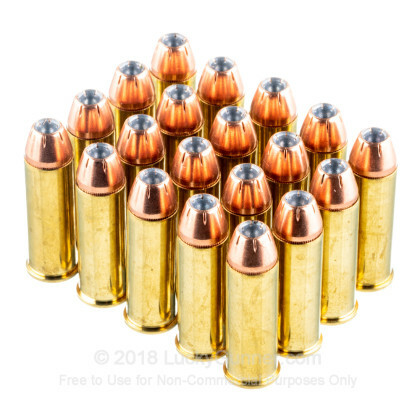 Each 200 grain projectile is loaded into a fresh brass casing that is boxer primed and re-loadable. 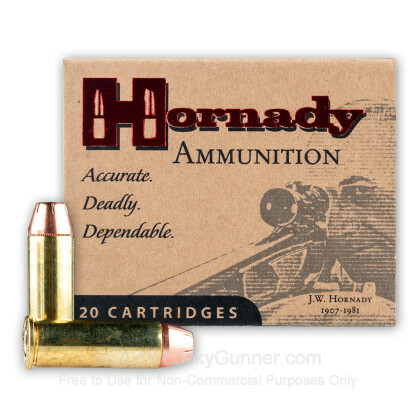 Pick up this 200 round case of premium 44 mag ammo from Hornady today! We don't have any reviews yet for this particular .44 Magnum ammo from Hornady. 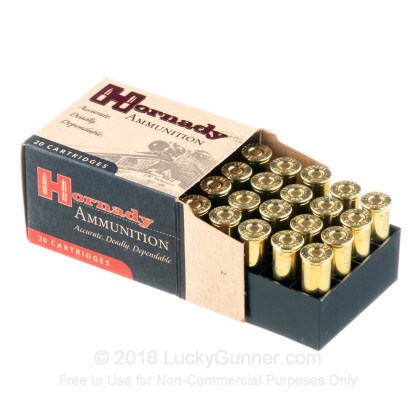 If you'd like to be the first to review this particular .44 Magnum ammo from Hornady, fill out the form below. 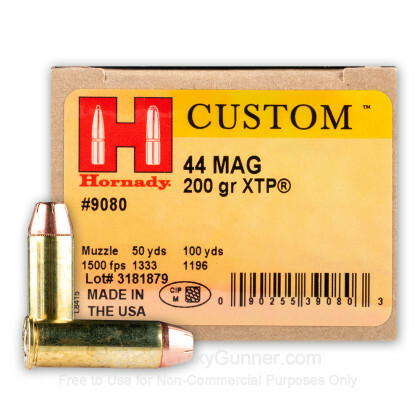 We also have this 44 Mag - 200 Grain XTP JHP - Hornady Custom - 20 Rounds ammo in stock in a smaller quantity.